This article will help you to create RESTful WCF POST API. I have given Client and Server example which is really easy to understand. 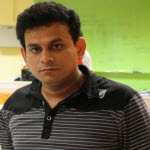 A versatile person having 10 Years of IT Industry experience in software development on .NET and Android Technology.